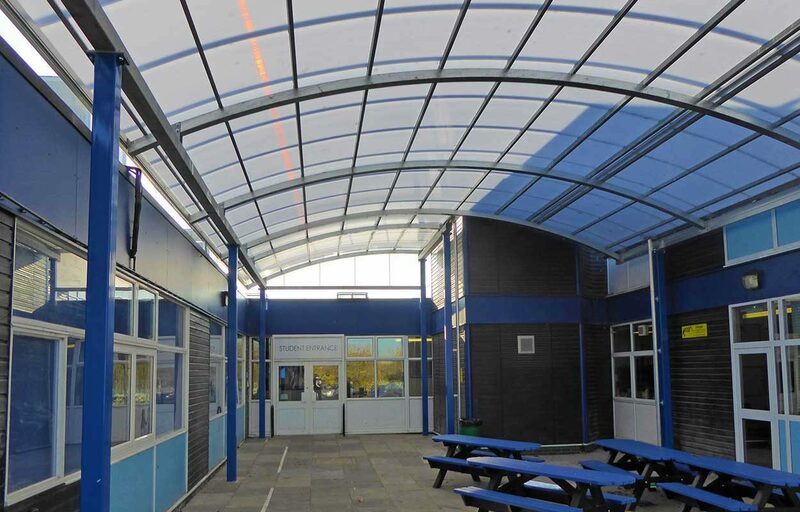 These two school canopies are adjacent barrel-vaulted canopies spanning an enclosed space, to form an atrium and the other canopy, runs alongside a classroom. 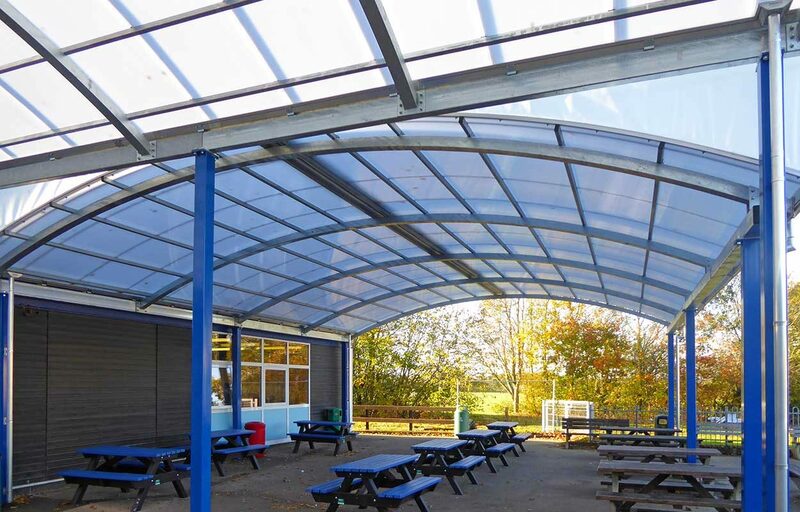 By protecting pupils and staff from the elements, this covered space provides a valuable outdoor learning, play space and potential alfresco dining at breaktimes / lunch. 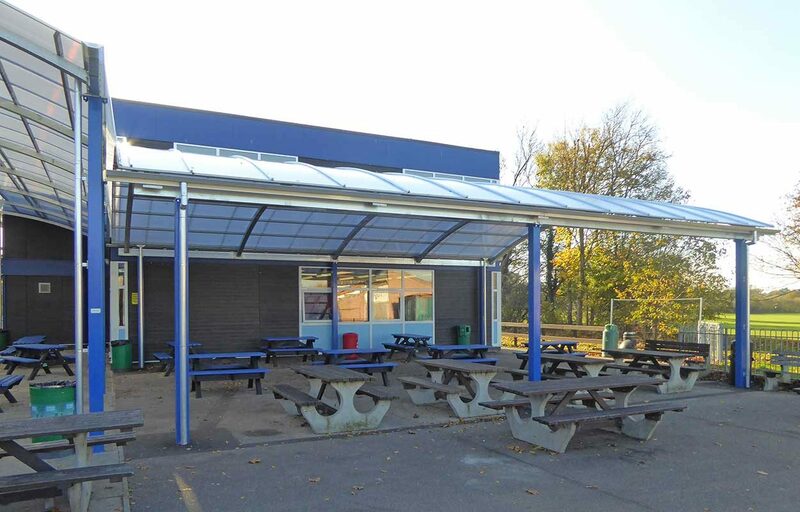 Classrooms will be kept cooler in the summer with this canopy, which acts as solar shading, reducing the need for air conditioning. All of our steel work is designed and manufactured by our in-house technical team, meaning precision in design and engineering and speed of manufacture for your convenience. 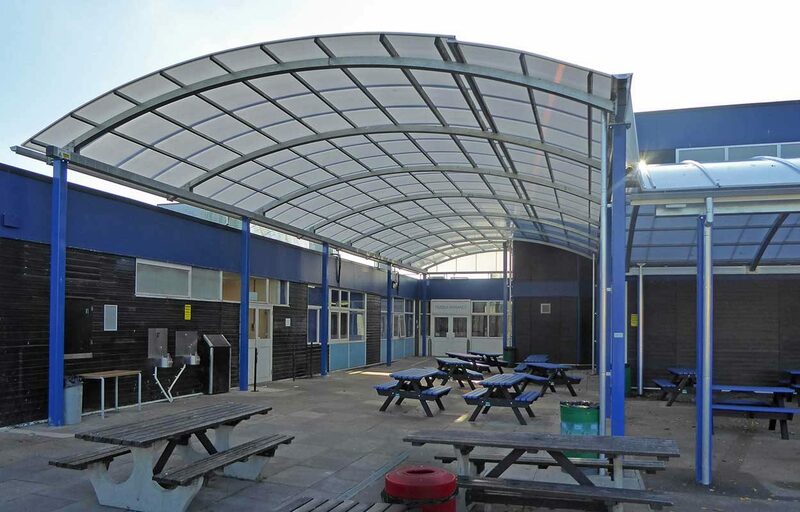 The finish matches the branding colours of Notely High School, allowing the canopies to blend into the surrounds. Fordingbridge is a fully CE mark approved manufacturer of steel fabrications.